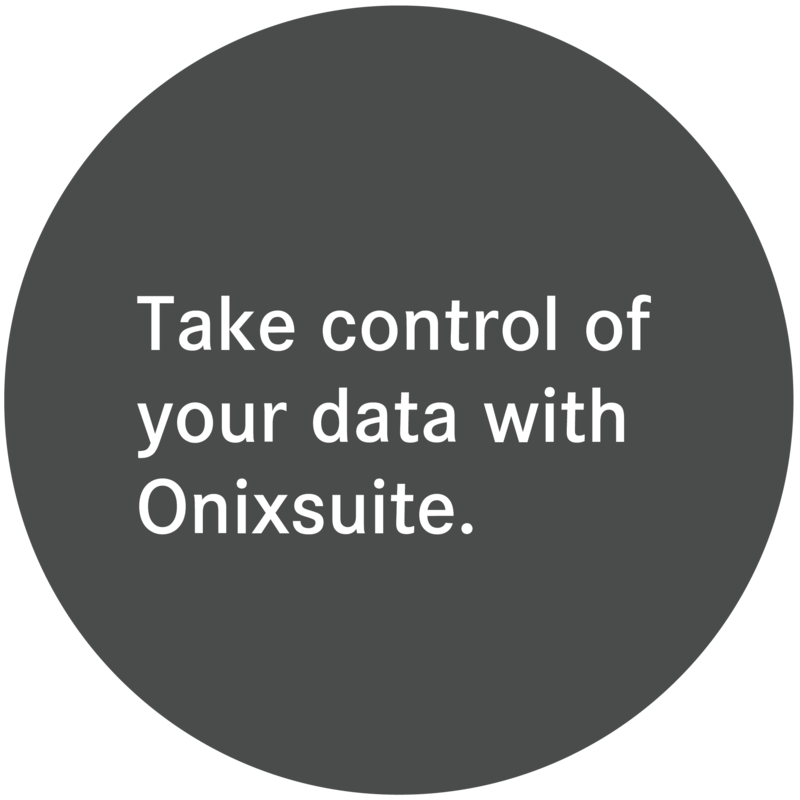 Onixsuite is the most advanced and customizable ONIX system on the market today. Integrable with any workflow or title management system, it gives you unique visibility into the quality of your book data. Even if your current system relies on a “data validator”, take advantage of the power of Onixsuite’s rule based system. 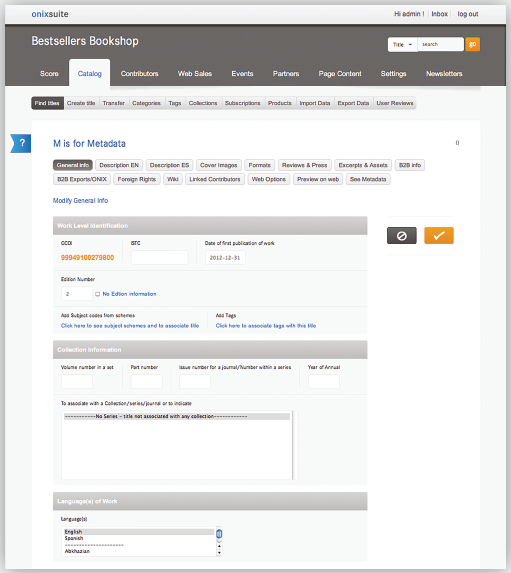 There is no better way for a publisher to maximize sales and improve profitability than with excellent ONIX metadata. There’s no need to juggle Excel sheets or to understand ONIX when using Onixsuite. Onixsuite allows you to unleash the power of ONIX 3 to to set prices and availability easily to expand your sales globally. Want to set a different price in Australia vs. the USA; it’s no problem with Onixsuite. Having issues with the quality of your data and want to dramatically improve it? Looking to move from ONIX 2 to ONIX 3 to take advantage of the power of the new standard? Want to map Thema subject codes? Let us take a look at your data and get you a proposal of what we can do. Website included to check and showcase your data. Just like ONIX, Onixsuite is multilingual, serving our international client base in their own language. 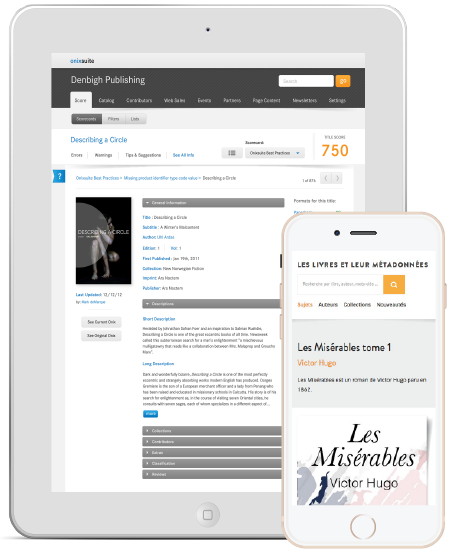 Onixsuite is a cloud-based system that allows publishers, retailers, authors, and distributors to easily create, correct, enhance and distribute book metadata, all from within a web browser. Accurate, reliable metadata consistent with the world-wide ONIX standard is the key to discovery, sales and data management efficiency. 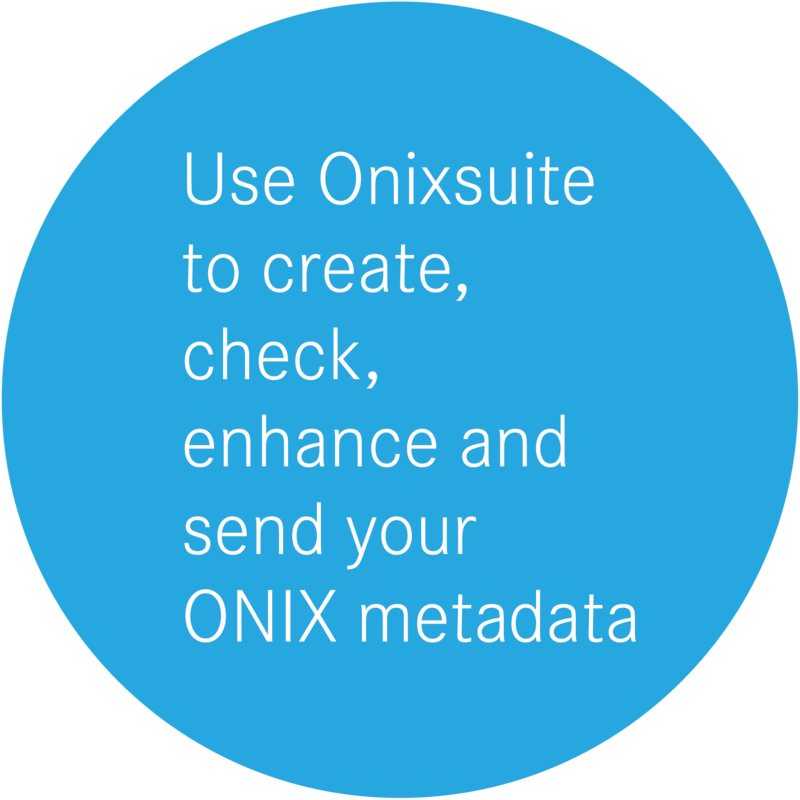 Onixsuite allows you- not a third party- to have control over your metadata and to create ONIX of superior quality tailored to the requirements of your trading partners. Available in multiple languages, Onixsuite can be accessed anywhere with an internet connection from any device. Your team can work collaboratively, no matter where they might be located- saving your company time, effort and money. Onixsuite even comes with a fully featured responsive catalog website preview or optional e-commerce site; ensuring constant, consistent metadata all the way down the supply chain. 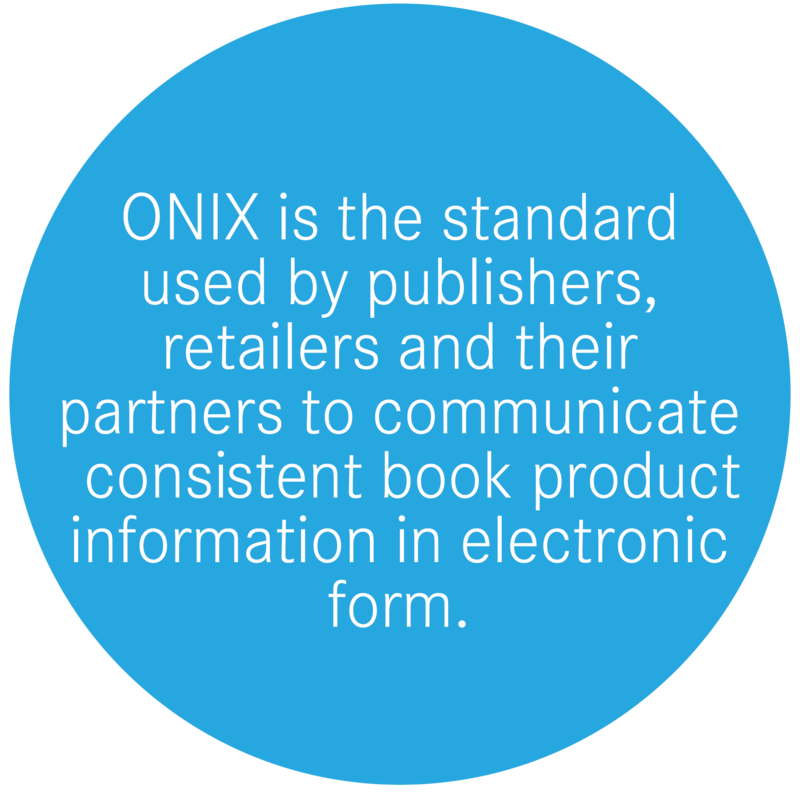 Created by GiantChair Inc., Onixsuite has been developed to meet the needs of today’s global publishing environment. 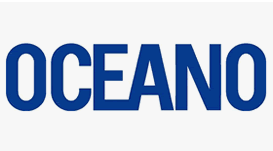 GiantChair offers a variety of metadata solutions for the industry, based on its Onixsuite software, from inexpensive off-the-shelf solutions to enterprise-level metadata management solutions, including data cleaning and optimization. There’s nothing else like it. Onixsuite’s Scorecard allows full quality control of your entire metadata ecosystem, from general overview to the most specific detail. Our Scorecard is based on solid industry standards and our priority view shows where best to apply your efforts. No more rejected files or cryptic exception reports– you know where issues are with pinpoint accuracy and can fix problems quickly, before they cause major headaches. If you don’t have an existing ONIX file, don’t worry. 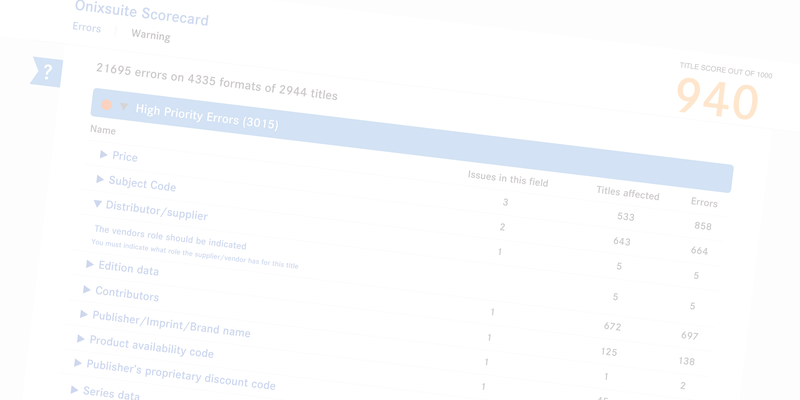 You can import your catalog data using our Excel template and start producing ONIX the same day. Onixsuite seamlessly integrates the Scorecard and its catalog management tool — no more endless importing and exporting of files, no more exchanges with third parties, no need to know ONIX. Whether you fix an error or add a format, all changes are sent automatically to each of your vendors, ensuring continuity and freeing up countless hours of labor. Our catalog management tool is easy to use, stable, and efficient. 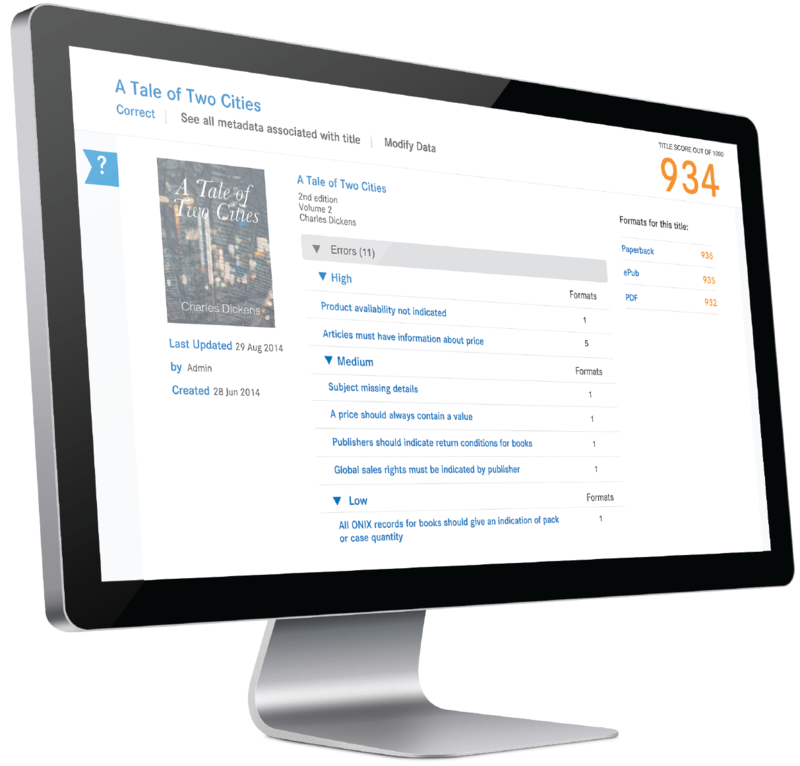 Whether you have one or thousands of titles we can help streamline your workflow, even for complex issues like sales rights management and distributor information. Even if you distribute in many different markets and currencies, Onixsuite has you covered. And it all goes out in your ONIX. 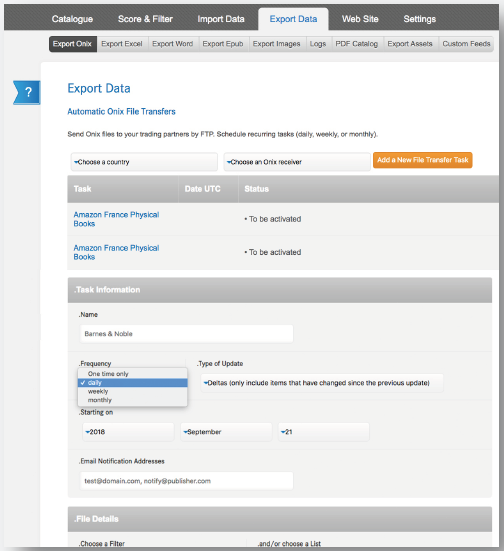 With Onixsuite, sending quality metadata and content to your trading partners could not be easier. Set up automated feeds to Amazon, Apple, Baker & Taylor, Google, Ingram, Nielsen, and hundreds of other channels in an instant. Onixsuite keeps track of changes made to your catalog and automatically sends out any modifications. Depending on the data receiver’s requirements, you can share your metadata in ONIX 2.1, ONIX 3, Excel, or CSV formats. As well as metadata, Onixsuite manages all of your digital content too. 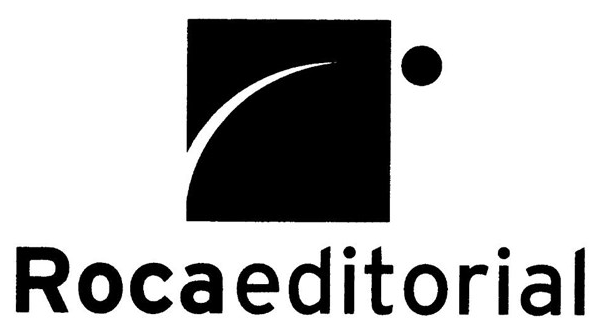 Upload cover images, excepts, even full content files for print-on-demand. Any new or modified content is sent out automatically. 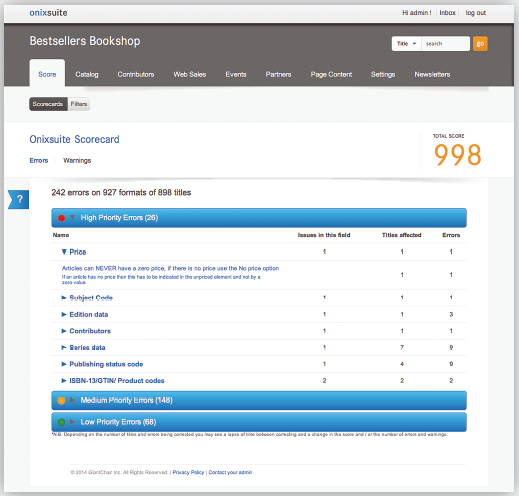 Letting Onixsuite take care of your metadata and content feeds allows you to minimise errors, free up time, and ultimately sell more books! ✓ Import and convert ONIX 2.1 to 3.0 for export. Ability to export ONIX 2.1 or 3.0.